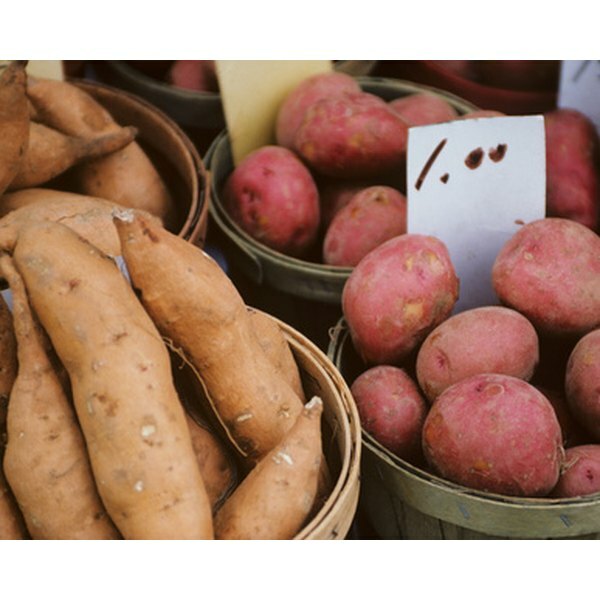 You can use sweet potatoes or red potatoes instead of more traditional potatoes. Mashed potatoes are fairly simple to prepare, but they can be time consuming, especially if you are entertaining guests and don’t want to be mashing potatoes while you do it. However, you can make mashed potatoes ahead of time so they can simply be warmed when your guests arrive or when it's dinnertime. Premade mashed potatoes are also excellent for lunches when you don’t have a lot of time to cook, but still want quality food. Peel 1 lb. of the potatoes of your choice, discarding the potato skins as you go. Cut the potatoes into cubes and put them in a large, heavy-based pan or stockpot. Add 3/4 tsp. salt and add enough cold, running tap water to cover the potatoes by 1 inch. Put the pot on the stove with the lid on. Bring the potatoes to a boil and continue boiling until they break apart easily when poked with a regular kitchen fork. Pour the potatoes into a fine-mesh sieve to drain for 10 minutes. After draining, transfer the potatoes back to the pan they were cooked in, over low heat. Add the butter to the potatoes and stir to combine until the butter is fully melted. Add salt and pepper to taste and stir to combine. Pour in half of the warm half-and-half, milk or heavy cream slowly, stirring to combine. Mash the potatoes with a potato masher until they reach the desired consistency. Transfer the potatoes to a heatproof container with a tight-fitting top. Allow the potatoes to cool until they are room temperature. Pour the remaining milk, half-and-half or heavy cream over the potatoes in the container and stir to combine. Refrigerate potatoes until needed. When you want to reheat the potatoes, you can put them in the microwave or back in a pan on the stove. Heat them over low heat until they reach the desired temperature. Serve immediately. You can add two cloves of crushed garlic to the pan with the potatoes in Step 1 if you wish, or add garlic and seasonings like fresh or dried herbs along with the butter. 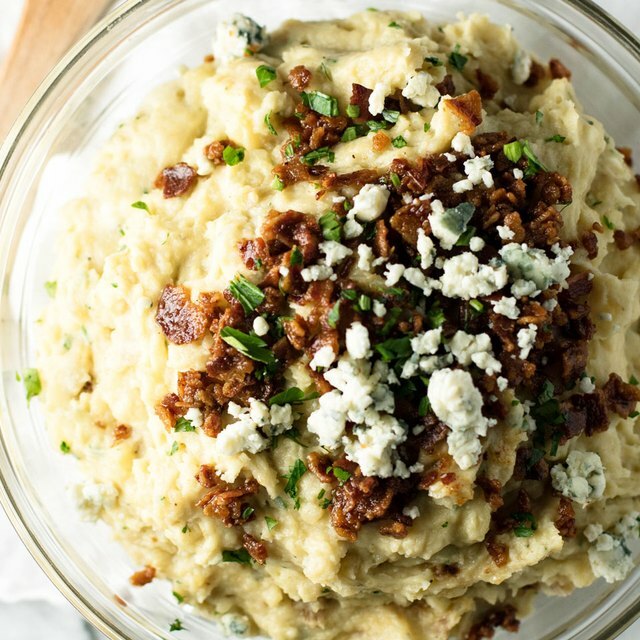 ReluctantGourmet.com: What is the Best Recipe for Mashed Potatoes?